SCOTTS VALLEY, Calif. (April 20, 2016) – Bell Helmets, one of the industry’s most iconic brands and a leader in innovative head protection, today announce a multi-year agreement with the 75 year old vanguard of London’s petrol culture and home of the original cafe racer--Ace Cafe London. The transatlantic partnership will fuse the history, authenticity and credibility of the two historic brands in the creation of exclusive limited edition products, while also co-operatively joining together for unique future racing initiatives. Today, the companies unveil limited edition Ace Cafe Custom 500 and Bullitt Carbon designs. A full race version of the Race Star will arrive later this year in time for the Isle of Man TT. This unique helmet collection pays homage to the original helmets as worn by those who frequented the Ace Cafe and its environs. London’s Ace Cafe opened in 1938 as a roadside pull-in and quickly became a focal point for motorcycle riders. With Bell being the helmet of choice for many international pro road racers for the last half century, cafe racers likewise adopted helmets such that they are an engrained part of the British “Ton Up” motorcycle culture. Now, over sixty years later, the partnership comes full circle in the form of these new collaborative helmet designs. 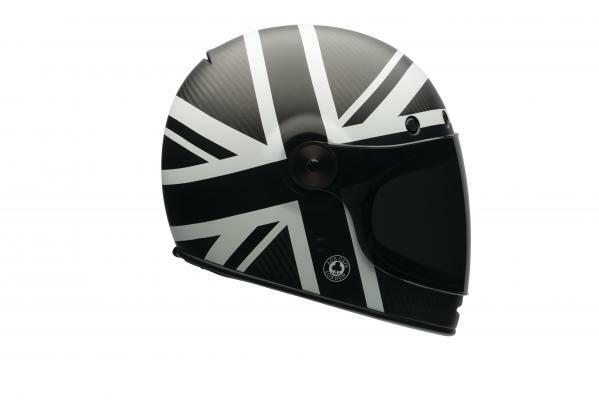 Along with limited edition helmets, Bell and Ace Cafe London are exploring collaborative efforts around major events, shows, racing and the Isle of Man TT. The legendary and iconic Ace Cafe London is the latest in an elite roster of influencers who have partnered with Bell on product designs including Carey Hart, Roland Sands Design, Corey Miller, Skratch, Airtrix and Chem Candy. At Ace Cafe London we welcome all who share our passion, based upon the traditions of motorcycles, cars and rock ‘n’ roll. This is your cafe, devised, designed and built by fellow petrolheads, so enjoy the ambience and ensure that its history lives on. Ace Cafe London is online at www.ace-cafe-london.com.